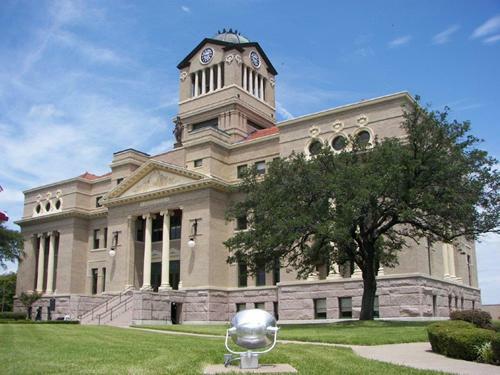 Navarro County Courthouses, Corsicana Texas, history, restoration, markers, statues & monuments, photos, travel. 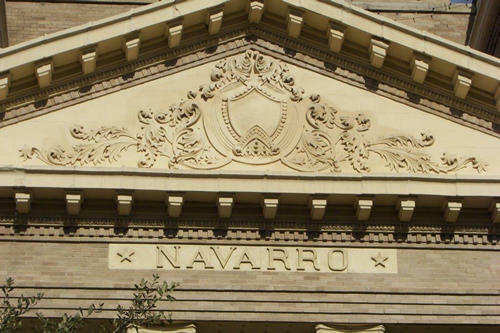 Navarro County was created in 1846 by an act of the first Texas Legislature. 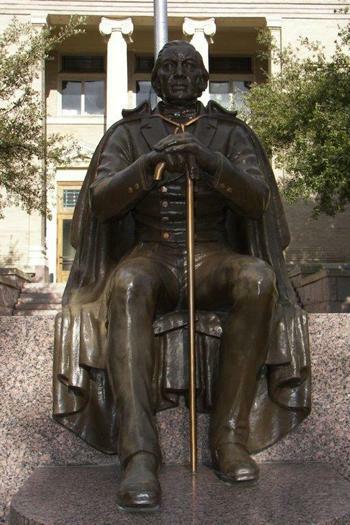 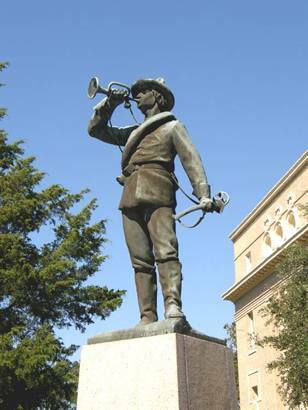 It was named for early statesman Jose Antonio Navarro (1795-1871), a signer of the Texas Declaration of Independence. 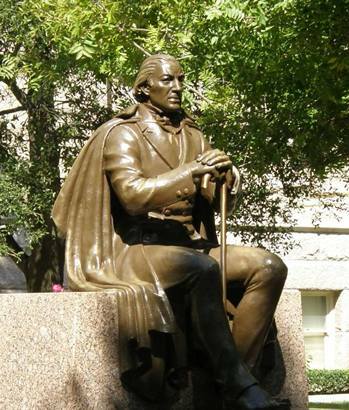 The first county seat was established at the home of William R. Howe, an early settler on the Chambers Creek in present-day Ellis County. 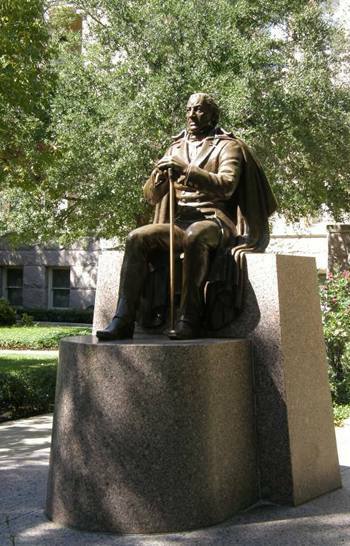 In 1848, Corsicana was designated the seat of government, and temporary offices were set up in the home of pioneer Hampton McKinney. 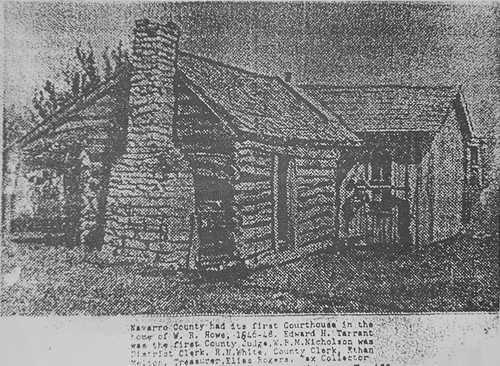 he second temporary courthouse for Navarro County was a log cabin located on the corner of West First Avenue and Twelfth Street. 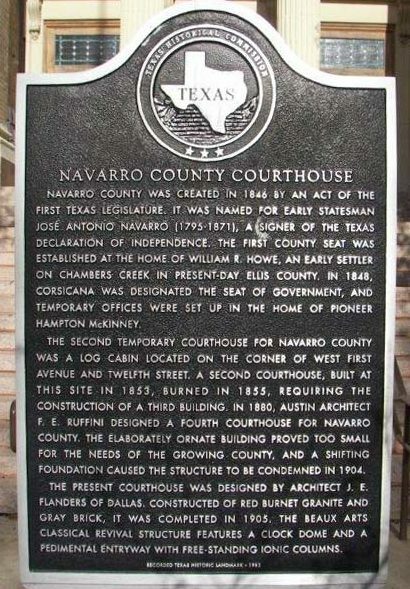 A second courthouse, built at this site in 1853, burned in 1855, requiring the construction of a third building. 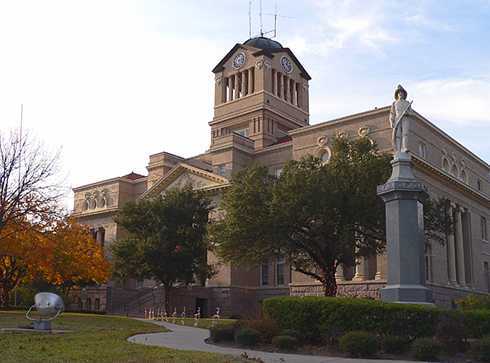 In 1880, Austin architect F. E. Ruffini designed a fourth courthouse for Navarro County. 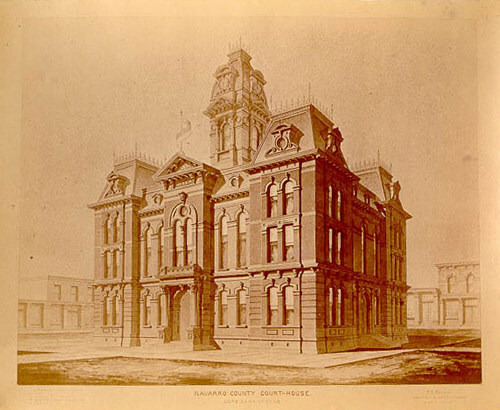 The elaborately ornate building proved too small for the needs of the growing county, and a shifting foundation caused the structure to be condemned in 1904. 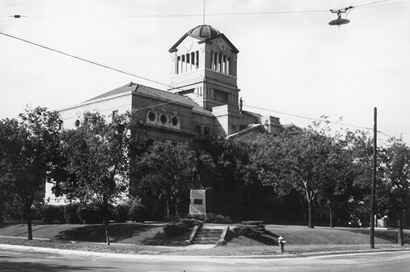 The present courthouse was designed by architect J. E. Flanders of Dallas. 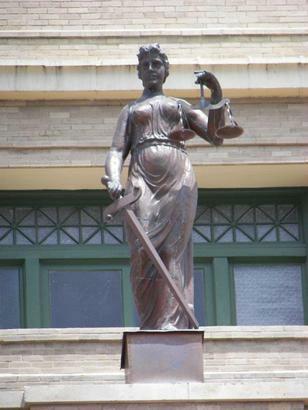 Constructed of red Burnet granite and gray brick, it was completed in 1905. 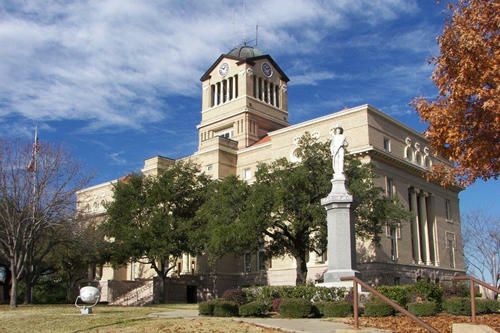 The Beaux Arts Classical Revival structure features a clock dome and a pedimental entryway with free-standing Ionic columns. 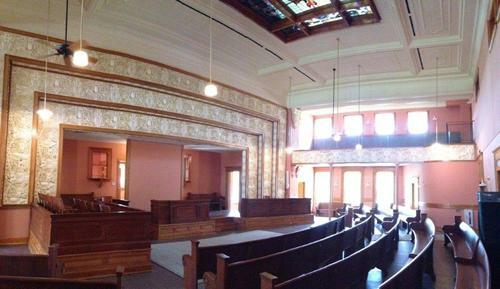 "The colors are mostly salmon pink and green in the offices and the courtroom." 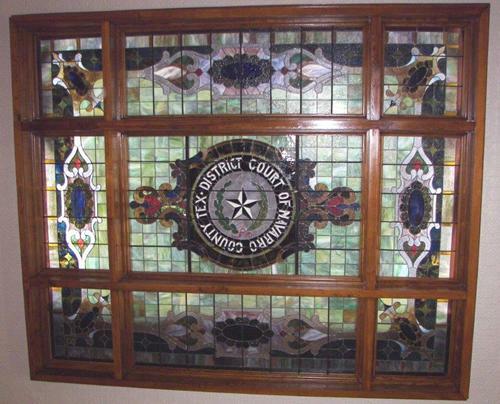 "The courtroom was restored to its two-story height with the stained glass skylight returned to the ceiling." 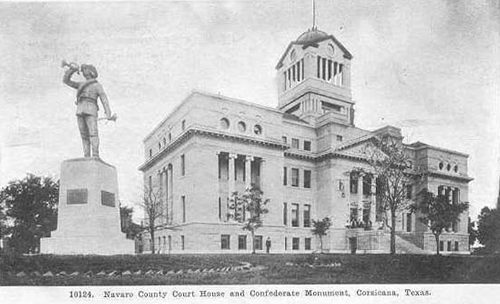 "Navarro County Courthouse and Confederate Monument, Corsicana, Texas." 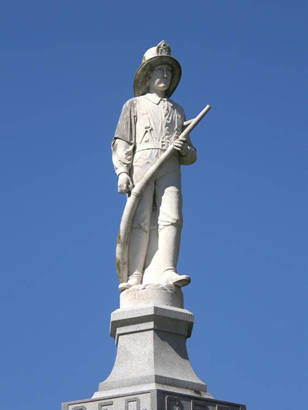 Clock tower with sheet metal details. 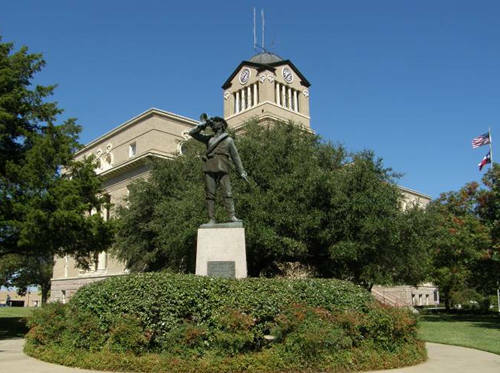 Similar to Williamson County Courthouse & former Rusk County Courthouse. 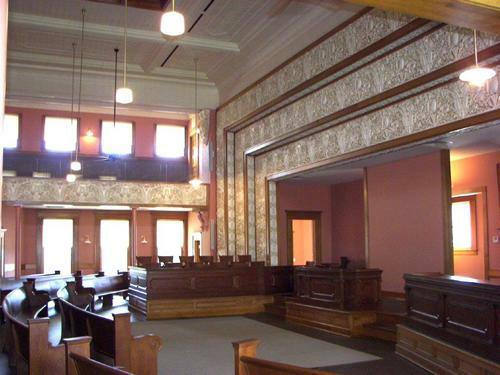 A two-story frame courthouse replaced the cabin in 1853. 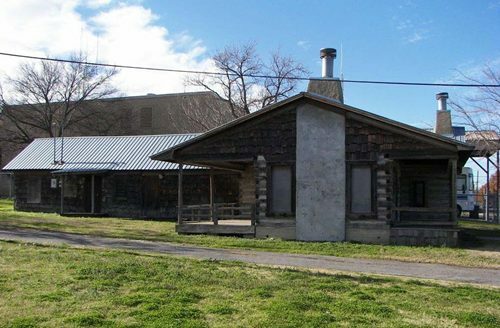 Red cedar and post oak log cabin. 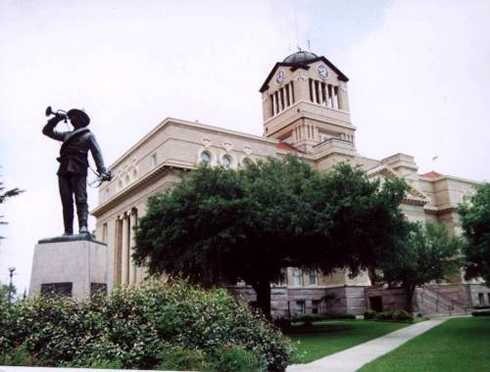 According to Mavis Kelsey's book 'The Courthouses of Texas,' this building is still standing. 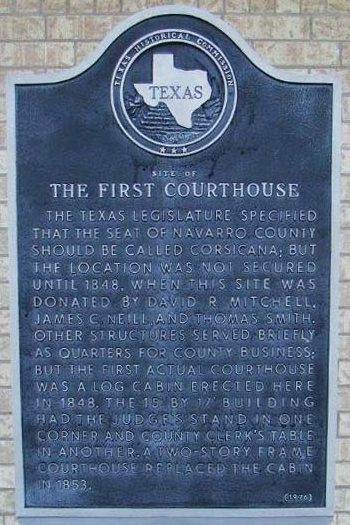 The Texas Legislature specified that the seat of Navarro County should be called Corsicana; but the location was not secured until 1848, when this site was donated by David R. Mitchell, James C. Neill, and Thomas Smith. 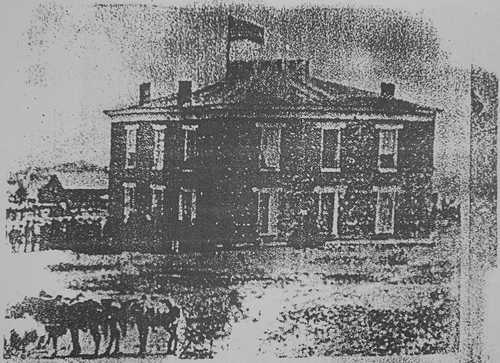 Other structures served briefly as quarters for county business; but the fist actual courthouse was a log cabin erected here in 1848. 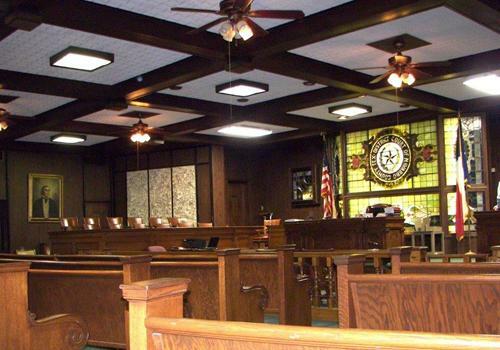 The 15' by 17' building had the judge's stand in one corner and county clerk's table in another. 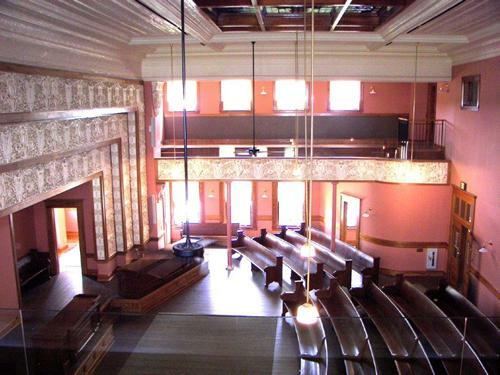 A two-story frame courthouse replaced the cabin in 1853.